It was early morning and I was on way to fish and talk jigs with Brendan Knaggs, Founder/Owner of The Perfect Jig. Our target was Rice Lake in Southern Ontario and we were looking for some bass! I met Brendan at the launch that morning, packed his boat and away we went looking for bass in Rice. I met Brendan at the Toronto Fishing Show, where he usually has a booth. My friends and I usually stock up on his jigs at this show for the upcoming bass season. As the day started, we headed to a pad field. As I watched Brendan flip with a jig, it was like watching an artist at work. I’ve been fishing with Brendan before and I’ve learned a lot just watching him and picking his brain. He never wastes a flip and is constantly looking for a good place to put that bait in front of a hog. He is a great guy who is very grounded and is very willing to help you out answering questions or just talk fishing. Brendan was tinkering and making his own jigs when he was doing tournaments because he couldn’t find the right one or the right features. He always found that hook wasn’t strong enough, the skirt fell apart way too easily or he just couldn’t find the right color. So he decided to make his own customized perfect jigs. 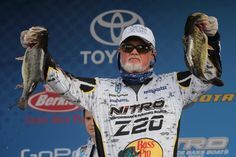 He was soon doing well in tournaments with them and soon started filling requests for friends and The Perfect Jig was born. 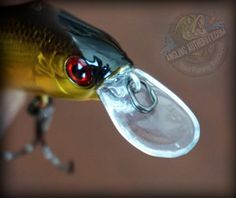 When you look at his jigs for the first time, you will notice that the hook is very unique; it has two bends in the the Owner hook. I asked him about it and he simply asked me if I have ever lost a fish on his jigs. The answer was “no”; because of those bends it’s near impossible for a fish to get off. 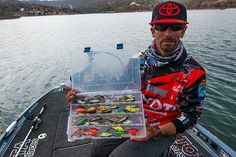 He makes a few different kinds of jigs; Arkie, which are my favorite; Mop jigs, which are made with a buoyant material so they pulse sitting on bottom; and Swim jigs. 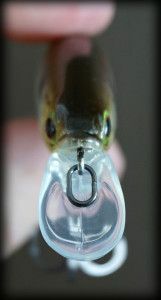 He also makes jigs made for pike, which he has made specifically for me and I’m sure other anglers. Brendan also makes flipping craws, which are great for punching, and jig trailers, which match his jigs perfectly. He can customize pretty much anything you want for jigs and all you have to do is ask. He ships products all over North America and internationally. He is a two-time member of Team Ontario. One has to make the top 12 at the Provincial Qualifier to earn a berth for this team. Since I was heading to the Provincial Qualifier, I asked him for some advice on how to improve my chances. He looked at me, laughed and said “just use my jigs”. His obsession with quality became apparent when I asked him how he makes these jigs. Believe it or not, he pours, ties the skirt and paints the jig all by himself or with an employee when it’s very busy, and it usually is. I asked him, “Why not mass produce it outside of Canada?” He simply stated then it wouldn’t be The Perfect Jig if it was produced in mass. Throughout our day together I asked for a lot of advice from Brendan. One tip really stuck with me, “fish jigs with confidence”. 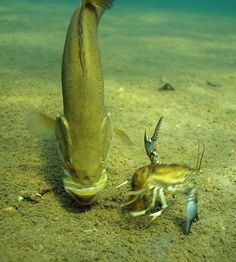 When you jig fish, you are not fishing for a lot of fish, but a few quality fish. Now as the day was heading to a close we caught a bunch of fish, but unfortunately not the one I was looking for. We started talking about some new products that he is going to be bringing out in 2015. Brendan has decided to make jigs for ice fishing and special 1-oz jigs for punching. I’m really excited about this as punching is one of my favorite things to do. This guy can make anything with a skirt! 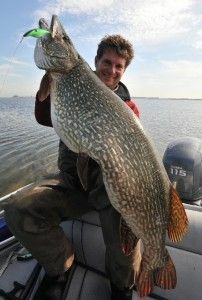 You can check them out and his products on his website: www.Theperfectjig.ca or stop by his booth out at the spring, boat and fishing show in Toronto. FEB 2015 UPDATE: Click here-> for your chance to win The Perfect Jig starter pack!.